(FOH) (Larnaca, Cyprus) 2017 - Current. Photos. Framable Color Prints and Posters. Digital Sharp Images. Aviation Gifts. Slide Shows. 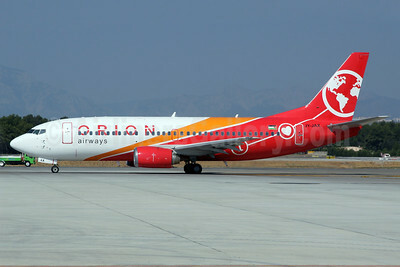 Orion Airways (Cyprus) (Jordan Aviation) Boeing 737-322 JY-JAX (msn 23955) AYT (Antony J. Best). Image: 939230. 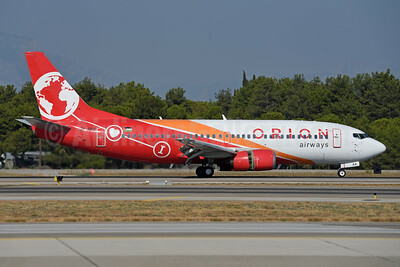 Orion Airways (Cyprus) (Jordan Aviation) Boeing 737-322 JY-JAX (msn 23955) AYT (Ton Jochems). Image: 942252.